This is a non-stock item. Please allow an extra 2-3 weeks for delivery. TB-15 and TB-30 can be shipped UPS. TB-60 must ship truck. G-TEC Torch Boosters replace acetylene, propane and other fuel gas cylinders. They connect to your low-pressure utility natural gas pipe and boost pressure high enough to make gas flow through a flashback arrestor check valve and give you a hot flame on the torch. Never run out of fuel. Clean natural gas flame improves work quality. Don't waste time changing empty cylinders. Natural gas is 10 times cheaper than acetylene and half the cost of propane. G-TEC offers a lower cost advantage over fuel cylinders. For equal BTUs natural gas costs much less than either acetylene or propane, and because you are connected to the utility natural gas pipe you never have to replace empty cylinders. Turn the Torch Booster on in the morning and off at the end of the day and that's all you need to do. Torch Boosters automatically supply the right amount of natural gas, no adjustments are needed during the day. G-TEC boosts utility natural gas to 25 psi, then a natural gas regulator (sold separately) lowers pressure to between 3 and 7 psi, the recommended pressure for most bench torches. 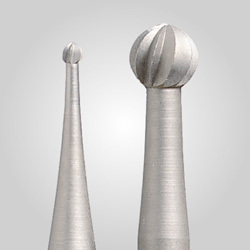 The TB-30 and TB-60 models provide the sustained higher pressures needed for casting torches. 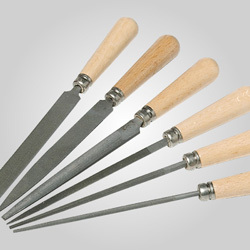 You can even boost the pressure to 10-15 psi to cast platinum with high-quality results. Platinum casters report better results when heating with natural gas; there is less stress on the metal, less porosity and an overall better quality cast. Torch Boosters are whisper-quiet and can be installed right next to your bench. If your torch is connected to the utility natural gas pipe, OSHA and local fire codes require you to use combination flashback arrestor check valves to protect the gas meter from a torch flashback. The problem is that flashback arrestor check valves need at least 3/4 psi gas pressure to work properly, otherwise they block gas flow. G-TEC Torch Boosters are certified by CSA International. For NYC installations, please contact Gesswein for help with FDNY regulations. You'll be glad to know that the NYC Fire Dept. has given blanket approval for G-TEC TB-15 and TB-30 Torch Boosters for installation anywhere in New York City. G-Tec recommends that the maintenance kit, 830-0827, be purchased to keep your Torch Booster running without issue. The manufacturer recommends the parts included in this kit be changed out once a year or every 2,000 hours (whatever comes first). The parts includes in this kit are a Filter Drier, 1/3 PSI Backflow Check Valve, and a 30 PSI Pressure Limiting Check Valve. Note, Prices subject to change on this Kit without Notice G-TEC Torch Boosters run in virtual silence and have a very small footprint. Can be easily installed by a licensed plumber in any facility. Requires about 45 minutes downtime per year for preventive maintenance. Complete instructions are included. "I have been using a G-TEC Natural Gas Pressure Booster System in my casting process for more than 7 years. I switched to natural gas to eliminate safety concerns with the use of propane. 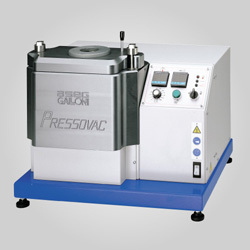 The G-TEC unit provides the appropriate pressures and flow required for all karats of gold as well as platinum." Please note: A natural gas regulator is required for G-TEC units. We recommend our #830-1014 Harris Natural Gas Regulator. *In NYC TB-15 is limited to 2 torches; TB-30 is limited to 4 torches. **G-TEC requires 12" extra space all the way around for ventilation; special ventilation unnecessary. For larger units and for assistance with New York City's special regulations, please call our Technical Department at 1-800-544-2043 (Mon-Fri, 9am-5pm EST) for additional information. This is a non-stock item. Please allow an extra 2-3 weeks for delivery. Gas Flow: 15 cu.ft./hr. 30 cu.ft./hr. 60 cu.ft./hr. Size:** 12"W x 16"D x 12"H 12"W x 16"D x 12"H 20"W x 18"D x 16"
Net/Ship Weight: 48/51 lbs. 50/57 lbs. 85/110 lbs. Torch Boosters connect to a utility gas pipe and boost pressure as high as 150 psi / 10 bar for direct supply to torches, shop manifolds, cutting tables, bevelers and other equipment. No cylinders to change, no on-site gas storage - never run out of fuel gas! G-TEC Torch Boosters are approved for installation in buildings where cylinders of acetylene, propane and other gases are prohibited.